We are three Excel-enthusiastic guys from two different countries who got to know each other on LinkedIn. The beginning of the story was a formula problem: the formula parser tool was our first common work, followed by a project to create a universal calendar class. The team was “officially” formed on 20 january 2012. 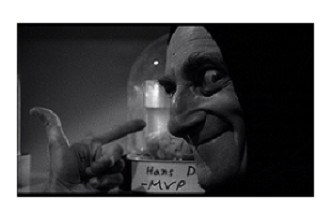 Do you know the film Young Frankenstein? If not - you must see! This film is the fun-base of our team-characters. All of us have very curious and creative personality - that makes us enthusiastic to push the boundaries of Excel and do what seems to be impossible. We learn and share our knowledge and our discoveries continuously. If you have any question or comment, please feel free to contact us! In April 2013 we created the site E90E50charts to present a wide selection of our Excel graphics. For a full content of the E90E50 sites, take a look at the new Home Site.